Our MSC Cruises from Southampton offer fantastic value for money. We are proud to say that we have the best prices online for all MSC Cruises - Guaranteed! Embrace the Mediterranean way of life on a relaxing and glamourous MSC Cruise Voyage from Southampton. 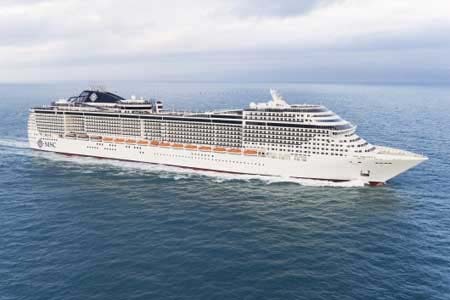 Known for their excellent Mediterranean itineraries and exceptional value for money, MSC are a firm favourite with many cruisers seeking affordable cruises and late cruise deals. MSC are known for their artful and lavish decor which is carried throughout their 14-strong fleet of elegant ships. They believe if a job’s worth doing – it’s worth doing in style! This is why you’ll find signature Italian design through each cruise ship and its lounges, restaurants and relaxation spots which are as memorable as the destinations you’ll visit. One of our personal favourites is the Piazza del Doge on the Divina which is designed to resemble a Venetian Square complete with innovative lighting designed to mimic the sky.